Taiwan's Green Trade Project Office, one of the major sustainable development and green economy facilitators in Asia, once again showcases top quality eco-friendly products and innovations to people from around the world. 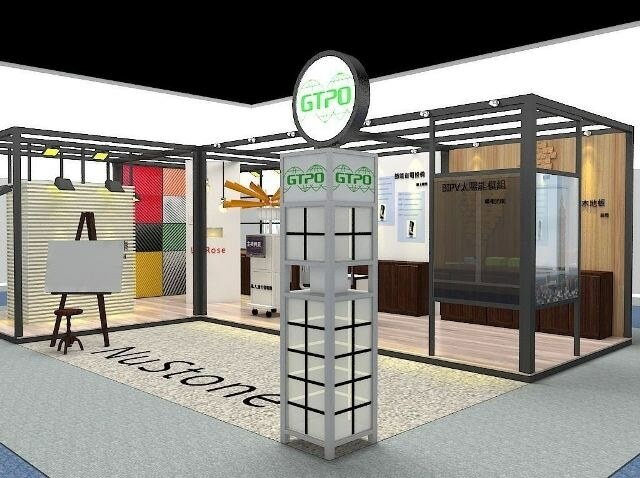 GTPO's trademark green products promotor, "Taiwan Green Demo House", is scheduled to exhibit at Doha's Project Qatar in May 9-12. The easy-to-assemble TGDH is an environmentally friendly, reusable exhibition show booth. It is designed to present the use and application of high-quality green products and services in a realistic way, enabling visitors to experience the full benefit of each display. In addition, TGDH utilizes the advanced building-energy-modeling software IES-VE to ensure that the best energy-saving strategies are employed for an entire setting. IES-VE analyzes a number of different inputs, including climate data, building design, and HVAC design, among others, to calculate a building's energy consumption and anticipated energy bills. It then proposes energy-saving strategies based on the return-on-investment (ROI) of the application of energy-saving products. According to the energy modeling result, it is possible to put together a Net-Zero Energy Building with the help of TGDH's eco products. For example, by replacing a building's ceiling and walls with NexPower's thin-film PV modules, harmful radiation can be filtered out, heat can be blocked, and clean energy from the sun can be generated, enabling a total energy savings of up to 30 percent. By installing Dresden Glass's energy-saving glass, reductions in temperatures of 8 to 11 degrees can be achieved and up to 50+ percent of noise can be blocked, resulting in a reduction of 12 percent in total energy savings. In addition, LaRose, one of Taiwan's major LED suppliers, has also become known for being a reliable lighting-solutions partner, especially when it comes to quality and price competitiveness. By installing its LED dimmer bulb series, energy savings of up to 14 percent can be achieved. With the help of SunValue's solar-power brick, solar energy from various angles can be easily absorbed by the brick's light-guiding material, yielding energy savings of up to 12 percent. These bricks can also be integrated into existing buildings and are ideal for vertical installation. TGDH also features several of the newest smart, eco-friendly innovations. Heatax's insulation coating, for example, has been widely hailed for having the highest cost-to-performance value of all thermal insulation paints in Taiwan. In specific, it can reflect up to 88 percent of solar heat, which yields energy savings of 8 percent and 6 degrees in temperature reduction. The coating is easy to use for DIY-projects; it is made to be long-lasting; and, most importantly, it is very affordable. And Nustone is a one-of-a-kind building material that can transform ordinary surfaces by giving them the look and feel of stone, with less difficulty and less expense. It is essentially a new generation of spray paint that creates a genuine stone-like surface of granite, marble, or quartzite, among many others. Another must-see presentation created out of a shipping container is a revolutionary, totally off-the-grid system entirely self-powered by solar energy, named SKYNERGY. Basically, SKYNERGY can be custom-made. The first SKYNERGY has been created out of a 40x8 foot shipping container that will serve as an electric-bicycle station at New Jersey's Liberty State Park. The entire rooftop area of the station is covered with thin-film solar panels. These panels feed the station's smart grid with electricity, with any excess electricity then stored in the station's lithium-ion batteries. And with the help of the smart-energy-management system, cloud monitoring technologies have been implemented to help ease administrators on the challenges of the central control of scattered equipment. The station has also installed a hydrogen fuel cell to provide reliable backup power, in case of blackouts. In addition to Project Qatar 2016, TGDH is scheduled to exhibit in Thailand's Eco Product International Fair in 06/2016 and Singapore's Build Eco Expo BEX in 09/2016. For more information, please visit: www.greentrade.org.tw.